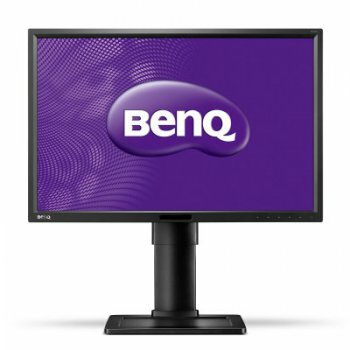 BenQ BL2411PT, this model of monitor resolution is 1920x1200 pixels per inch, equipped with technology BenQ Low Blue Light that solves the problem of the influence of blue tones on the eyes, which is characteristic of any monitor. With the provided modification you will look beautiful reflection color, which guarantees technique Seneye, which is based on the perception of the display to the human eye. Since this monitor shows a high dynamic contrast ratio of 20M:1, which gives the opportunity to see even the most minor details of the display.